As young teenagers Ghullam, Noori and Keiber fled from Afghanistan to the Netherlands. They are waiting for a residence permit, for years now. The three 'pensionados' Huub, Pol and Monique take care of the boys now and see to it they get a new chance to obtain their permit. Without their help these orphans would be expelled to Afghanistan where their lives are in great danger. At the End of Darkness. 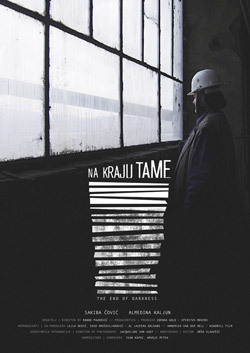 Director of Photography for At the End of Darkness, director Ranko Paukovic. 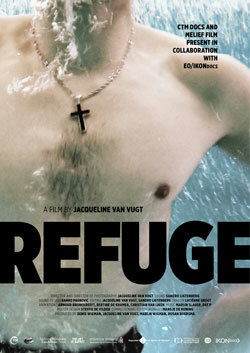 Director and camera Jacqueline van Vugt. We all know the uncomfortable feeling arriving at a border. In a split second your mind is alert. The border guards are in charge; will they let you pass or not. By Clara, 16 years in the Netherlands and now expelled back to Nigeria, we encounter the first border; the airport detention centre. In Nigeria the journey starts anew. 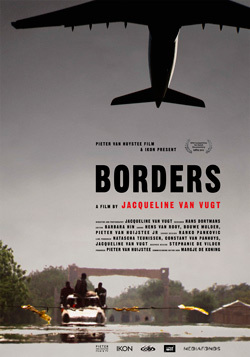 Border by border this film depicts the journey of many immigrants coming from Africa to Europe. 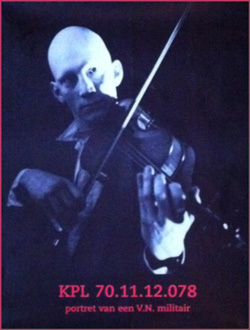 FIPRESCI Award, Krakow Film Festival. SIMA Award en CIVIS Nomination. Mama don't like no guitarpickers 'round here. 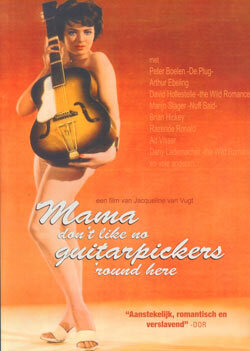 The film is situated in the Amsterdam vintage guitar shop de Plug. The visitors, amongst them famous musicians, all love their guitars and music. Friendship means sharing each other's songs, dreams and daily life hardships. Rock & Roll takes its toll. In Edit Music Film Festival, Buenos Aires, Rio de Janeiro, NFF, South Side Film Festival USA. Tomorrow they will dance, just like today or was it yesterday? 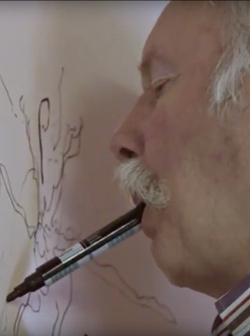 This short fiction film depicts the last day at home of an elderly couple. He is losing his memory and she will bring him to a retirement home. 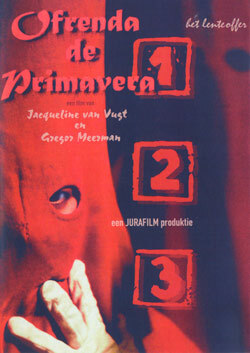 The Movies Amsterdam , cinema Distribution Germany. Ami Diarra, is a "griotte", a traditional singer-storyteller. Within the oral tradition of Mali, West-Africa. She starts her own HIV-AIDS campaign. Because of her respected position Ami has access to the local communities, something the officials often fail to recognize. 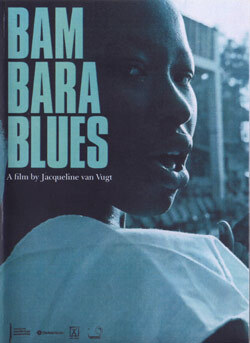 IDFA, Mali-Bamako, Kayes, Cinema Ambulante Addis Abeba, NFF. 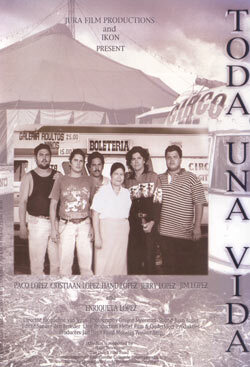 This documentary tells the story of family-circus El Rey Gitano from Guatemala. After the death of their father and leader, the five brothers Lopez struggle to survive. They fight each other to follow in their father's footsteps and be in control of the circus. The greater the benefits, the higher the tension. International Festival of New Latin American Cinema. During the Videla-regime in Argentina many were killed and their bodies never found; the deasaparecidos. Their children were often adopted by members of the regime. Adios Nonino, shows us how Victoria and Marcelo, brother and sister, finally find each other. 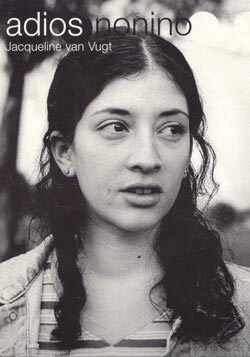 The film depicts the small world of family life and the search for identity within the memory of Argentina's brutal past. Mama Cash Festival, NFF, NPS, DOCTALK. 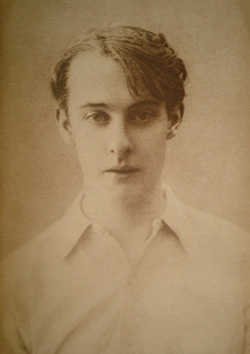 Two Loves is a poem written by Oscar Wilde's lover "Bosie", Lord Alfred Douglas. This documentary depicts the love and war between these two men, bringing each other down, in a time when homosexuality was still unheard of and even strictly forbidden by law. The brotherhood of "Jesus El Rico" has the right to release one prisoner during the Semana Santa, the Holy week in Spain. 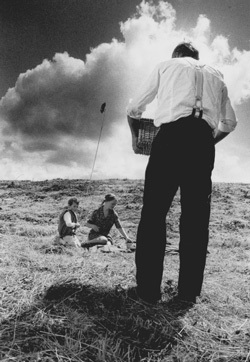 Three prisoners are selected, only one of them will be cleared by the hand of God. But only after he joins the procession of "Jesus el Rico" and has done his penance. Which one of the three prisoners will receive his freedom? 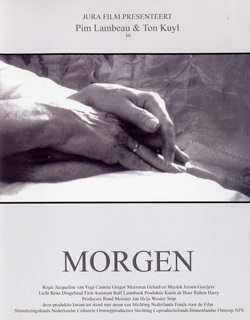 1st price Bologna-Triëste, nomination Gouden Kalf. 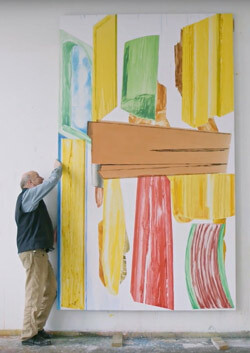 Amsterdams Fonds voor de Kunst, Young Talent Award. NCRV, IDFA, NFF, Sao Paulo Film Festival. Dutch Corporal, Arjen van Santen is sent to Bosnia-Hercegovina during the UN operation. His family stays behind in the Netherlands. How do they cope with the life threatening situation their son is in. What does Arjen himself encounter in Srebrenica, former Yugoslavia, only three months before the massacre of the islamic population. Ceci n' est pas un petit dejeuner sur l'herbe. A woman, a man, a child. The children of the Mappa Mondo home show us their home and the way they live. All of them have a life-threatening disease. 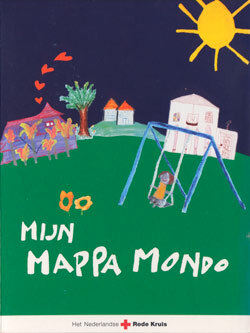 In the Mappa Mondo professionals and volunteers take care of the children. Day and Night. 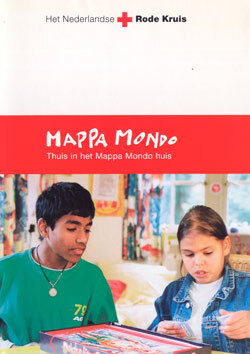 Mappa Mondo is a project of the Red Cross. In this film children with a life-threatening disease, cared for in the Mappa Mondo houses, present themselves their way of living.